Your foundation repair at the right price! When should you consider repairing your home's foundation? A foundation repair situation isn't necessarily caused by a construction defect. It may simply be deterioration over time or caused by weather, such as water accumulation around the foundation. 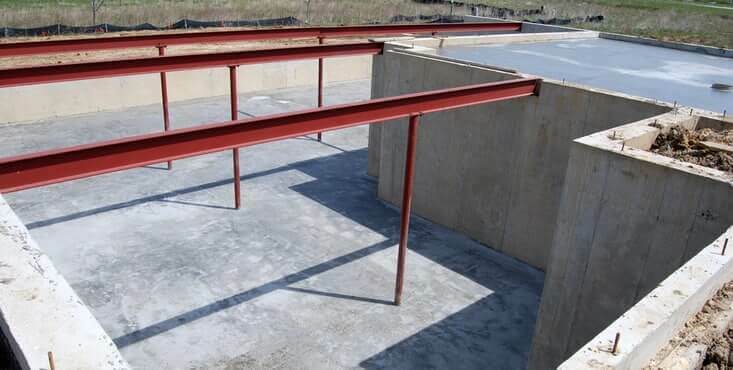 Depending on the work to be done (foundation repair, foundation replacement, decontamination or basement finishing), it should be understood that any repairs require professional intervention to ensure that the problem is resolved for good. It's therefore essential to correct any foundation problem before thinking about renovating your home. This will optimize your renovation investments. The preservation and durability of the structure of your home and especially its foundation should precede any aesthetic renovation project. 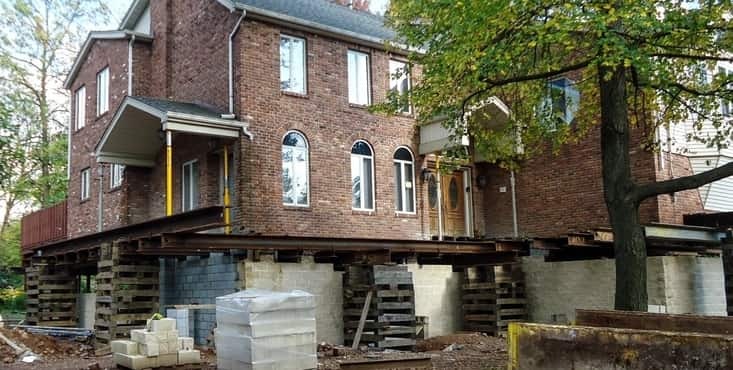 Though, even in the absence of such symptoms, a thorough examination of your home's foundation should be carried out and take into account the different structural elements (partitions, roofs, openings, etc.) before you invest in a renovation project. Several symptoms may lead you to realize you have a crack in your foundation. Unfortunately, if your basement has been finished and closed up with walls, you may only notice cracks once it's too late. This means that your basement could have been deteriorating for some time due to unseen water infiltration. Your walls and floor may have suffered considerable damage and you may have to get some decontamination work done before renovating affected areas. It's possible that your insurance covers the damage and/or repairs resulting from water infiltration. Get in touch with your insurance company before undergoing renovations to find out if you're covered. They're likely to ask you for quotes from contractors to properly assess the value of the renovation. You can contact us to get this information! Your insurance company offers you contractors with whom they have agreements with to get the work done. However, you have to remember that if the insurance company is to pay for all the work, they will not want to opt for a high-end service but rather look to save costs overall. This could leave you short-changed in regards to the resulting work quality. Always ask your insurer for the option that allows you to compare with outside contractors - which we can find for you. You'll have nothing to lose as our services are free of charge! For more information on water infiltration renovations, visit our disaster renovation page. 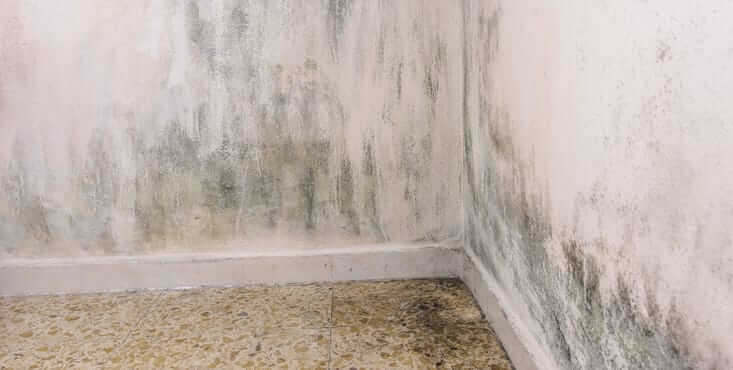 Due to water infiltration, mold may have formed in the tight spaces between your concrete foundation and your walls, or between the flooring and concrete slab. Removing infected elements and decontaminating the concrete must be done before renovating and refurbishing your space. Without decontamination, mildew and other contaminants will remain present and can attack new materials. They can also affect your immune system if you're exposed to them too frequently and breathe in the contaminated air. For more details on decontamination, take a look at our decontamination and mold removal page. 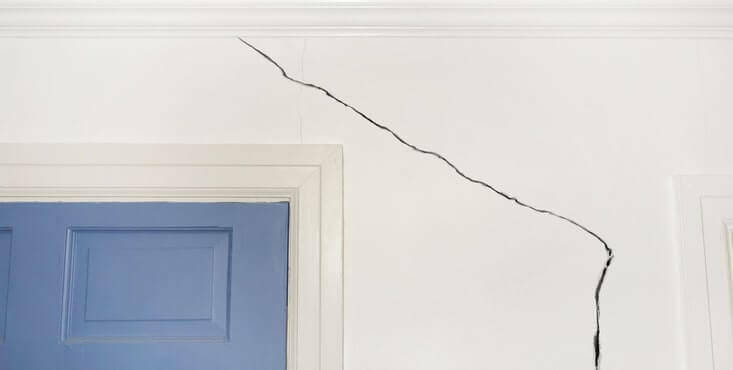 If you encounter a significant crack in the foundation of your home, a simple foundation repair might not be an adequate solution. You're likely to need to replace a portion of the foundation. 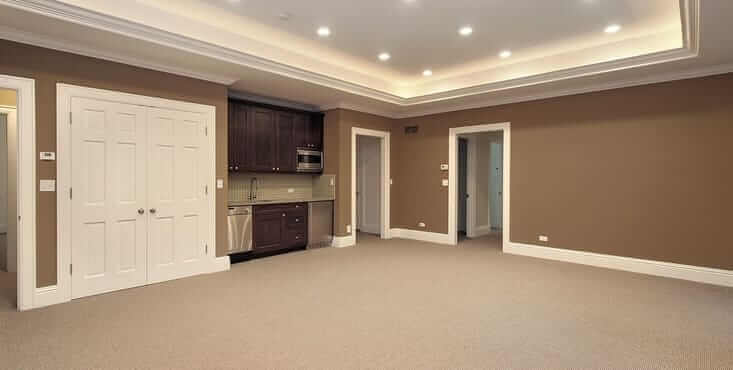 In a finished basement, this implies that part of your basement will have to be stripped down. The contracting team will need to demolish and remove the affected area to replace the cracked foundation. This involves mixing new concrete that will be applied to the existing one. You might need to change your concrete slab if it seems to be deteriorating because of water infiltration that has seeped through from the ground up. This will ensure its integrity as well as that of your basement. 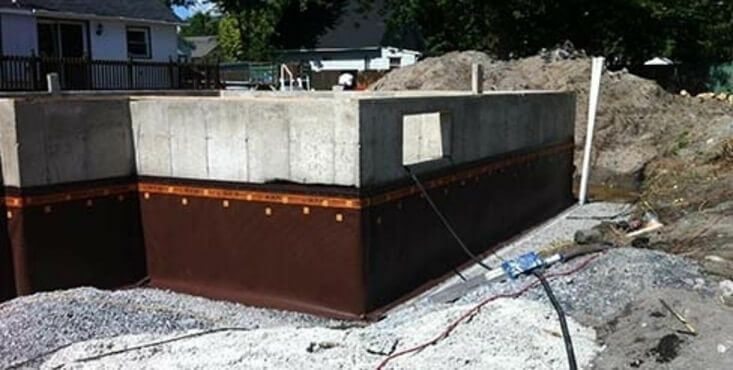 We work with many foundations and concrete slab professionals. They could help you fix the problem and help you successfully finish your basement! Is your French drain or waterproof membrane the problem? It's important to repair cracks in your foundation. However, it's much more important to isolate the root cause of the crack(s) in your foundation. With age and weather conditions, the structure may become fragile. The ground's movement over time or the roots of trees that push against your foundation might be the causes of your foundation cracks. In most cases, the culprit is water accumulation on and around the foundation. When water doesn't adequately drain to the city sewage system and sticks to the house, it applies pressure onto your foundation. As it seeks to find a way out, it can, eventually, succeed in seeping through the foundation by creating a crack. It then penetrates into your home and creates damages. To prevent water accumulation on the foundation walls, it's advised to install a French drain system. In some regions, this system is mandatory for all new construction. Check your local municipality building codes to ensure whether or not your new home requires one. On average, a French drain has a lifespan of 25 years. If your French drain is no longer effective or blocked by branches, earth, or other materials preventing it from performing its job, it may be the cause of a crack in your foundation. 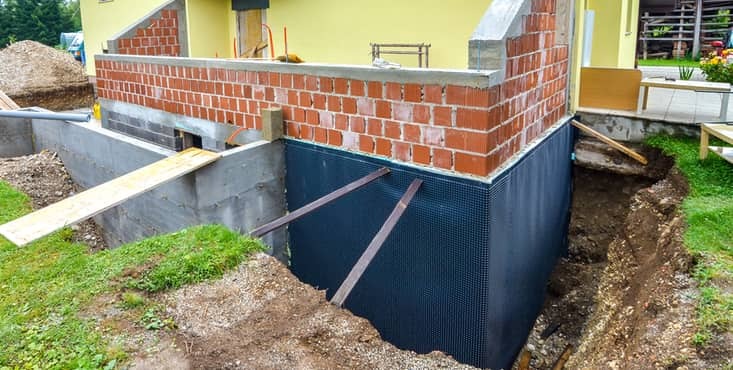 In addition to the drain, a contractor can also put in place a waterproofing membrane all around the exterior walls of your foundation. This will provide your home with extra protection from water infiltration. If you do not remedy the situation, the problem will undoubtedly get worse and become quite costly to fix. For more details on French drains, please visit our French drains page. Has your home been affected by a big flood that has deteriorated your entire foundation? If you must replace it completely, you'll most likely need to resort to house lifting to be able to put your house back on a new, solid (and dry) foundation to ensure a long life for your home. It's an important investment, but it's well worth it - especially if it allows you to keep your home in good condition and save it from suffering from any future irreparable foundation issues. Looking to find a little more information on house lifting? Feel free to visit our house lifting. Find water recovery points nearby, such as gutters. 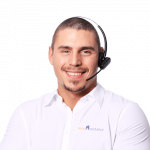 Regardless of the specialization required for your project, we have a network of hundreds of 360° Verified Contractors whom we can refer to you for your renovations. Your dedicated Renovation Advisor will send up to three specialized contractors to meet with you compete for the job. They'll also help you understand the quotes you receive to effectively compare and find the right one for you. The best thing about our service is that it's at no cost, no obligation to you. You have nothing to lose!